The VTAM Executive continues to work hard to promote the professionalism of its members, the rights of each Vocational Teacher in the province, and the mutual benefits of technical-vocational education for our students and society. Today, VTAM exists as the only organisation to advocate for technical-vocational education professionals and we must not take for granted the numerous benefits that are obtained as a result of VTAM’s past, present and future efforts. An Executive committee which is comprised entirely of volunteer teachers currently teaching in Manitoba’s high schools, we aim to represent and advocate for vocational teacher awareness in the different areas of provincial and local levels of education within the province. VTAM hosts an annual SAGE (Special AreaGroup of Educators) Conference with combined collaboration of a different host school and the Manitoba Teacher’s Society. This event gives vocational teachers a relevant and most rewarding option when choosing to go to the required Professional Development day mandated by their school divisional policies. VTAM connects post-secondary colleges, secondary schools, industry specific purveyors and suppliers to help teachers network, connect with peers and professionals alike. Today’s students find the need and highly benefit from the more trade specific education obtained at a high school level. They excel in the world of work with the experiences and education they receive at an earlier age jump stating lucrative and exciting careers at a much earlier age. Vocational/Technical education provides every student with the introductory and foundational career skills while still in high school. Students can learn a trade foundations and acquire the necessary employability & essential skills at the same time as they earn their regular high school diploma. This powerful combination of academic and vocational skills makes Vocational / Technical students extremely marketable before and after graduation from high school. Many are sought by employers because of the trade specific education they receive before students enter the workforce after high school graduation. Once they become involved, technical-vocational students soon discover the vast and wide array of opportunities that are open to them in their chosen vocational field. They begin to realize that technical-vocational education they received will contribute substantially to their personal, professional and financial advancement. High school vocational skills and courses expand students’ opportunities for employment choices while they are still in high school, and it serves as their ticket into the many businesses and industries that would otherwise be missed if they had not participated. VTAM continues to advocate for technical-vocational learning opportunities for all Manitoba students through courses delivered by business/industry-trained teaching professional teachers. Feel free to contact us through our website if you have any vocational education questions. Whether student, teacher, or industry professional your questions, suggestions and insight can promote essential dialogue and networking that could make all the difference in the quality of future student education. 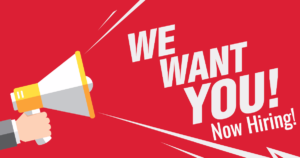 Niverville High School, opening September 2019, is seeking a qualified teacher/instructor who is interested in establishing a high school Interactive Digital Media program.